She may not be a Grammy Award nominee (yet)… But Camila Cabello is already a Grammys red carpet all-star. 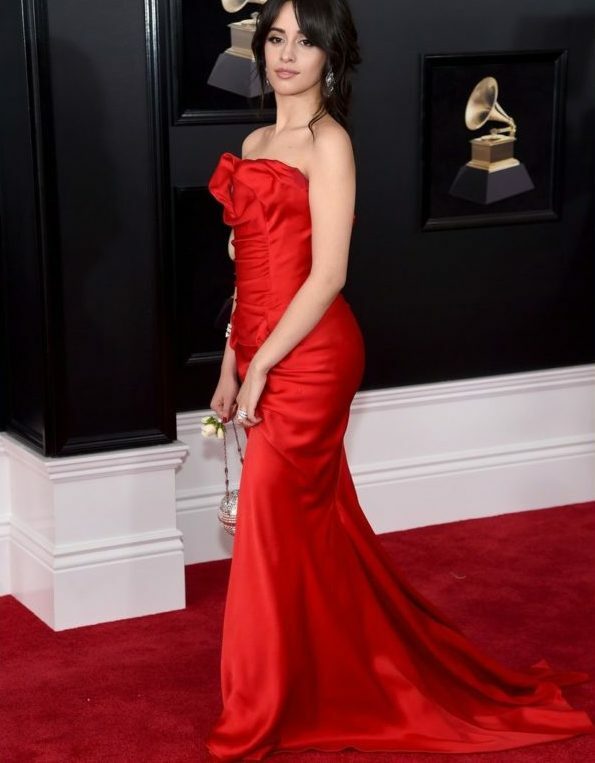 The 20-year-old Cuban/Mexican singer and former Fifth Harmony member rocked la carpeta rojo at Madison Square Garden on music’s biggest night, earning the title of Best Dressed Latina. Cabello looked as sizzling hot as a “Havana” night in a rouched red Vivienne Westwood gown. She paired her glam, strapless gown with $175,100 worth of diamonds from Bulgari’s Serpenti Collection, a disco-ball-like purse by Judith Leiber and a Time’s Up rose. 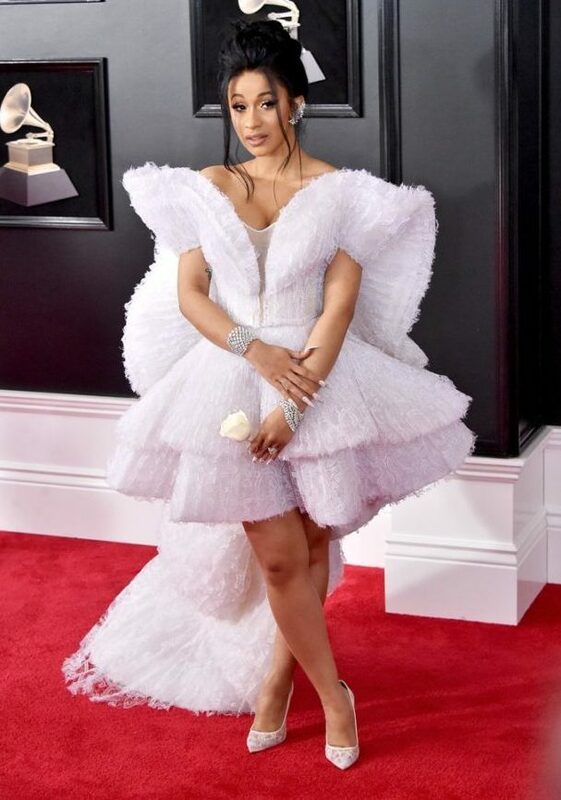 Two-time Grammy nominee Cardi B looked angelically delicious in a white Ashi Studio dress with train, which the 25-year-old part-Dominican American rapper paired with Christian Louboutin heels and Messika jewels. 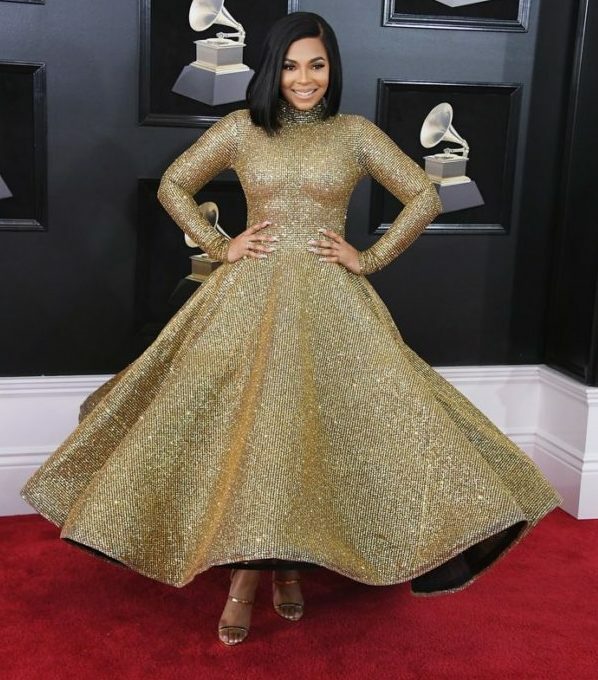 Ashanti proved to be the night’s golden girl… The 37-year-old part-Dominican American singer and actress shined bright in a shimmering gold gown by Yas Couture by Elie Madi. It featured long sleeves, high neck and dramatic skirt. Erika Ender, who co-wrote the Grammy-nominated global hit “Despacito,”wore a black long-sleeve gown with bead detailing. The 43-year-old Panamanian singer/songwriter’s dress, by Mac Duggal, featured parallel, thigh-high slits. Pentatonix member Kirstin Maldonado wore a ruffled, semi-sheer dress, which the 25-year-old half-Mexican, part-Spanish singer topped off with a smoky eye.